Delicious Ravioli on Tumanyan street in Yerevan, Armenia serves a traditional Georgian cuisine. 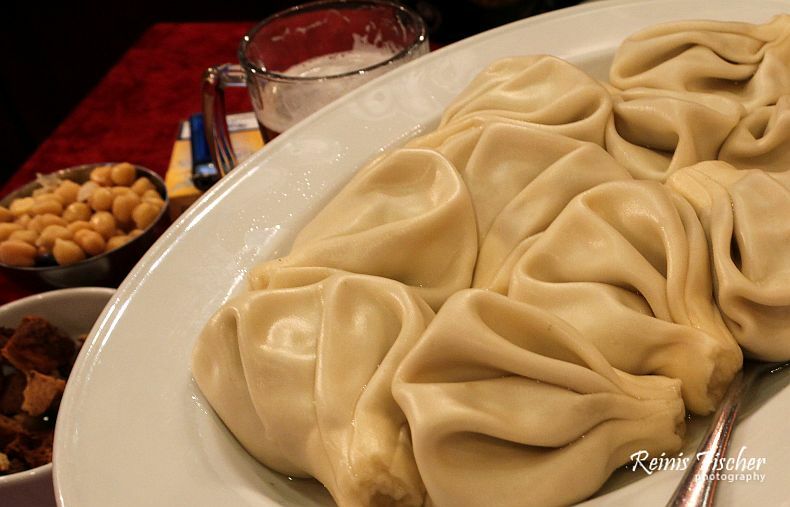 Actually this is a typical khikali place and I still wonder why this place is called a Ravioli place instead of Khinkali, as in Russian language sign - this place is still called Tasty Khinkali. Strange. Anyway, as usually when abroad I search for a Georgian cuisine. Last time I visited Georgian Tavern in Tallinn, Estonia, today was Yerevan's turn. Another evening, another Yerevan restaurant. 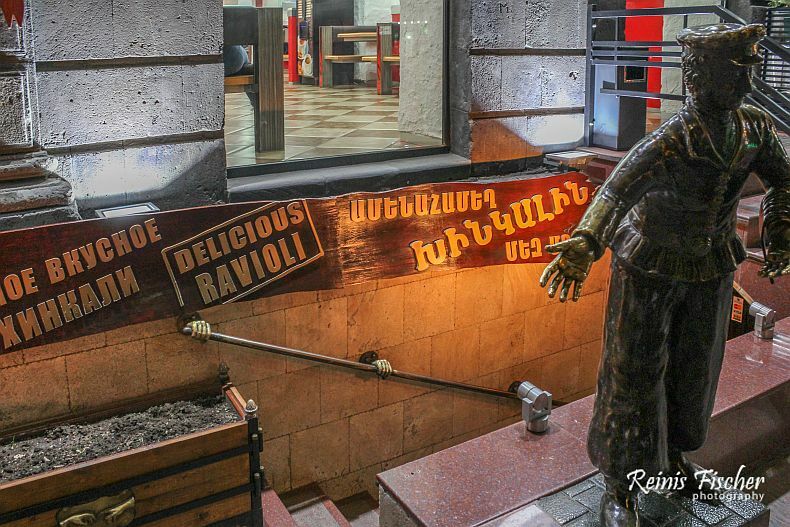 We visited Delicious Ravioli just shortly we returned from Khor Virap monastery complex. 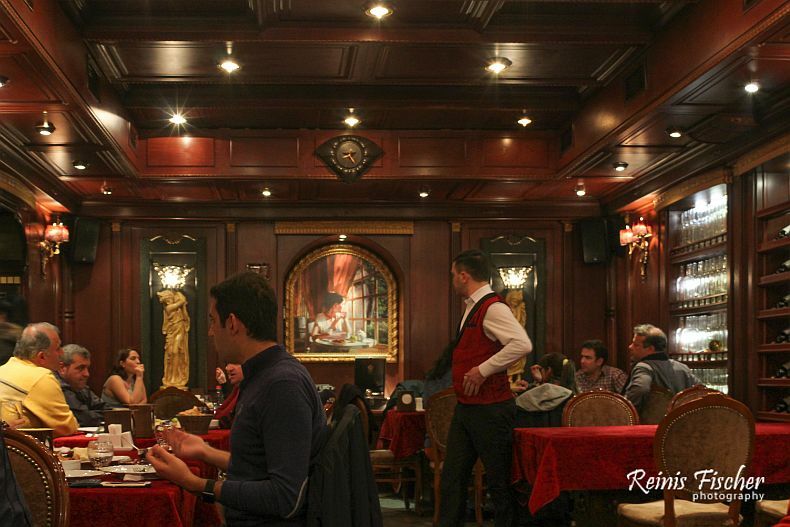 This restaurant is located in basement, and you must look really carefully to find it. Food was good, really good prepared khinkali accompanied with Georgian Saperavi lemonade. Budget? Don't recall exactly but pretty affordable. Would love to return.